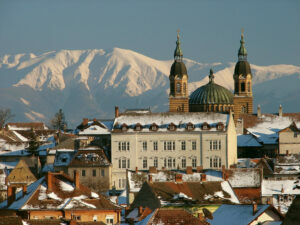 The capital city of Romania is a thriving and popular destination for culture-seeking tourists. Located in the south east of the country, Bucharest has a somewhat eclectic collection of architecture that successfully represents neo-classical, interbellum, communist and modern eras. 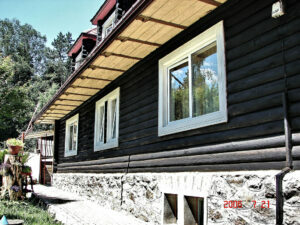 Known in the past as ‘Little Paris’, Bucharest boasts an inimitable mixture of old and new. Older architecture and modern buildings stand together in harmony and the whole city offers a modern sophistication to rival any other popular European city. The city has received several EU grants that have aided many new developments and projects within the area and there are usually several interesting ventures underway at any given time. One such project is the Basarab Bridge which holds the title of Europe’s widest cable-stayed bridge. The city has an impressive network of public transport allowing tourists and locals to get around quickly and easily. The metro in particular is the easiest way to get around given its wide area and the four lines offering reliable frequency. The city also has a complex network of trams, buses and trolleybuses. 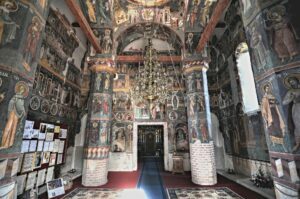 Bucharest has two free weekly guides that feature everything that is happening that week in the city. It also gives you the names and addresses of most restaurants, clubs, pubs and bars in the city. 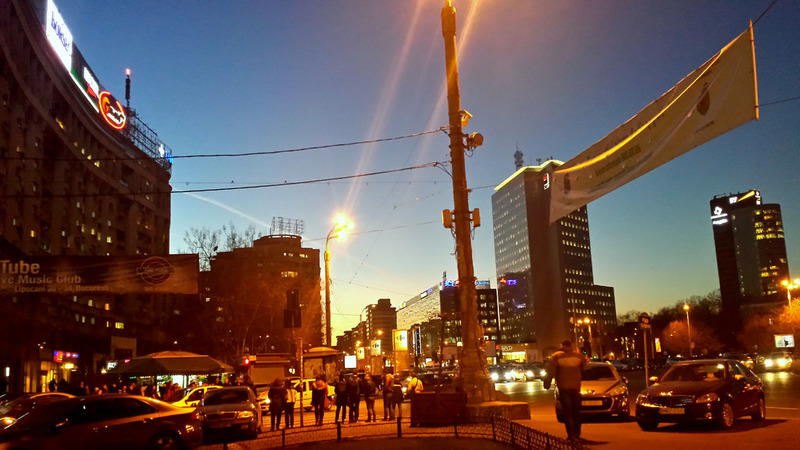 As with most popular tourist destinations, Bucharest has its share of chancers, so make sure you keep your personal belongings safe at all times and also do your research about the areas to avoid – especially after dark. I would love to visit this place. Looks so romantic and really breath-taking. Now, I’m thinking: Me and my wife… it would be a so romantic night! 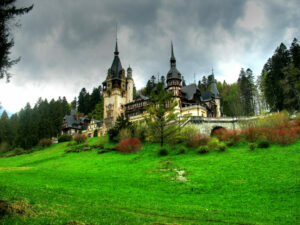 Romania is also known as “little Paris”…Romania is an European country..its famous for natural beauty and own history…. Bucharest indeed had been named after the capital of France but presently has more of the modern life with night clubs, restaurants, concerts; it could be a good fun place but if one wants to get to know Romanian culture and history one should rather choose Transilvania or eastern Romania.